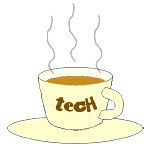 COMEX 2012 computers « Tech bytes for tea? Asus will be at COMEX 2012 at Suntec Singapore at Level 4, Booths 8220 & 8310. Click to view or download Asus promotions during COMEX 2012. Check out Asus’ range of notebooks, Ultrabooks, netbooks, tablets. They are pioneers in the consumer computers arena with their EE PC netbooks, Transformer tablets, and PadFones. Check out their COMEX 2012 discounts and freebies here. Lenovo will be at COMEX 2012 at Suntec Singapore at Hall 401, Booth 8358. Click to view or download Lenovo promotions during COMEX 2012. Check out Lenovo’s complete range of computers, ranging from desktops, all-in-ones, notebooks, ultrabooks to ThinkPad accessories. View or download Lenovo’s COMEX 2012 promotions flyers here. Toshiba will be at COMEX 2012 at Suntec Singapore at Level 4, Booths 8143, 8318 and 8405. It will also be at Level 6, Booth 6101. Click to view or download Toshiba promotions during COMEX 2012. Check out the COMEX 2012 offers for all-in-one computers, Portege notebooks, ultrabooks and Regza tablets from Toshiba. HP will be at COMEX 2012 at Suntec Singapore at Level 4, Hall 401, Booths 8108, 8150, 8245, 8428. Check out promotions and offers from HP during COMEX 2012. Check out HP’s COMEX 2012 discounts and freebies for computers, printers, media, and accessories. Computers (Booths 8150 & 8245) include desktops, all-in-ones, notebooks, and ultrabooks. Printers (Booth 8150) include HP’s LaserJet laser printers, Officejet all-in-one (AIO) laser printers, as well as Deskjet and Photosmart inkjet AIO printers. Media include a full range of printer papers and inks. Accessories (Booths 8108, 8245 & 8428) include keyboards, mice, speakers, headphones, webcams, laptop bags, and hard drives. Click to view or download COMEX 2012 promotion brochures/flyers from HP. Dell will be at COMEX 2012 at Suntec Singapore at Hall 401, Booth 8251. Click to view or download Dell promotions during COMEX 2012. Check out Dell’s promotional offers for notebooks, ultrabooks, desktops, Alienware gaming machines, and monitors. View or download their flyers here. StarHub will be at COMEX 2012 at Suntec Singapore at Level 3, 11am to 9pm. Click to view or download StarHub promotions during COMEX 2012. Together with SingTel and M1, also on Level 3 of Suntec Singapore, StarHub will start their COMEX 2012 days earlier at 11am instead of noon. Those looking for super fast broadband can consider the MaxInfinity Elite, StarHub’s 150Mbps fibre broadband service, at S$47.94 per month (24-month contract). It comes with a free Wireless Home Gateway and free mobile broadband (30GB) at up to 1.2Mbps. Check out their smartphone, tablets and broadband deals here, as well as their cable TV and bundled packages. SingTel will be at COMEX 2012 at Suntec Singapore at Level 3 Rooms 301-306, 11am to 9pm. Click to view or download SingTel promotions during COMEX 2012. SingTel will also start their COMEX 2012 days earlier at 11am instead of noon. Check out their smartphone, tablets and broadband deals here, as well as their bundled packages. Below are some highlights to check out. M1 will be at COMEX 2012 at Suntec Singapore at Level 3 Rooms 307-314, 11am to 9pm. Click to view or download M1 promotions during COMEX 2012. M1 will start their COMEX 2012 days earlier at 11am instead of noon. Check out their smartphone, tablets and broadband deals here, as well as their bundled packages. Sony will be at COMEX 2012 at Suntec Singapore at Level 3 Concourse Booth 3005; and Level 4, Hall 4, Booth 8210. Click to view or download Sony’s promotional flyers for COMEX 2012. Sony will be offering COMEX 2012 promotions for its wide range of products – from handycams, compact cameras, Alpha DSLRs, NEX MIL cameras, digital photo frames, to VAIO notebooks and Walkman mobile entertainment devices. Fujitsu will be at COMEX 2012 at Suntec Singapore at Hall 401, Booth 8241. Click to view or download Fujitsu promotions during COMEX 2012. Check out Fujitsu’s Lifebook notebooks, Ultrabooks, tablets and accessories; as well as their trade-in offers and freebies for purchases during COMEX 2012.